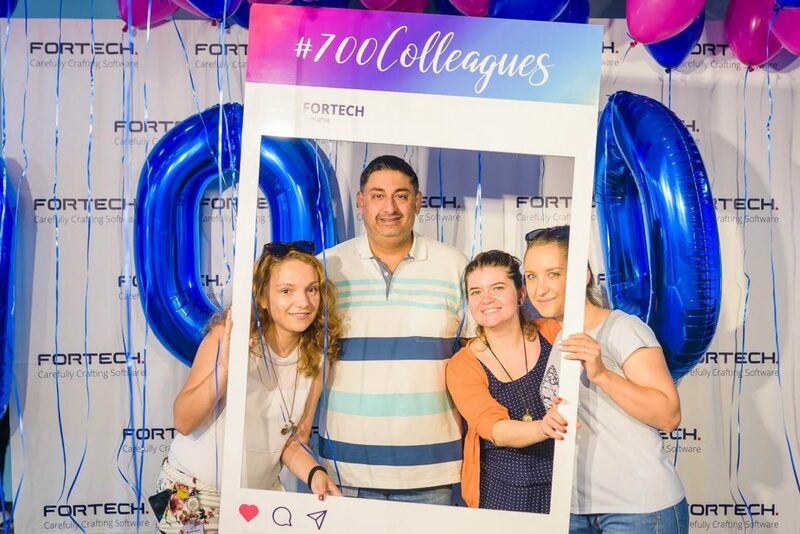 At the beginning of July, Fortech has crossed the milestone of 700 colleagues. We are a team of software engineers distributed in 3 office locations around the country with plans to enlarge our activity in the near future. 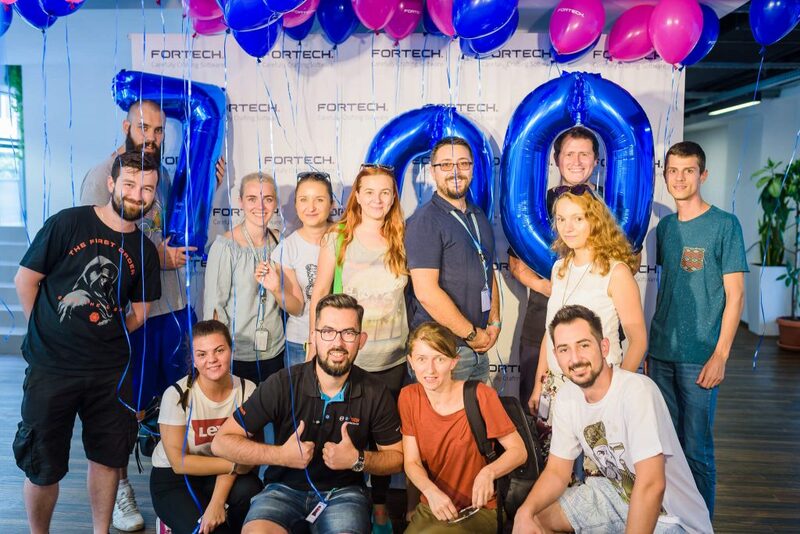 In the last year, Fortech has widened its software development and software testing expertise counting 700+ professionals in Cluj-Napoca, Oradea, Iasi, and in the remote location of Brasov. Our growth is reflected in 270+ projects undertaken by our team over the years and 165+ clients, who appreciated the level of maturity, technical expertise, and business knowledge displayed by our team. A total of 3,730 cumulated years of professional experience, along with a positive review from our clients, reflected in a satisfaction score of 4.6 out of 5 and a net promoter score of 89% stand as a solid base for our continuous concern in providing clean code and quality services. A mature team of software engineers and business managers lies behind these numbers, packed with their commitment to strive for excellence in custom software development. As part of this commitment of acting as a reliable software partner for clients aiming to boost their enterprise Agility through software, we have further invested in strengthening our interventions on three dimensions. We have focused on the management practice consolidation; software development and delivery process optimization as well as on the technical competence, quality of service and agility enhancement. Besides code delivery, we continued to create dedicated teams for the needs of our clients, ready to deliver full-stack services, from business analysis and UI & UX design, to software development, software testing and DevOps, whilst operating in an Agile environment. Today, 85% of our software engineers are part of dedicated teams, working in Agile environments. Also, we have created contexts to express their interests in coaching and sharing their professional know-how. In 2017, more than 25 of our colleagues experienced a new role as a speaker, mentor or as an internal trainer. Our belief that technology can influence positive economic growth and social development drives us to invest in social care, health & sports, education and creative industries. Our colleagues ride 42,000 km on bikes, in their way to work, the equivalent of almost 3 round trips from Cluj-Napoca to New York. In 2017, we started a partnership with SMURD (the Romanian Mobile Emergency Service for Resuscitation and Extrication) Cluj-Napoca by sponsoring the 6th edition of SMURD Emergency Medicine Summer School. Our collaboration didn’t end here but continue with a series of first-aid training for our colleagues, delivered by SMURD paramedics. Our constant interest in the healthcare system mobilized us to join forces, this year, with the Beard Brothers Association to buy an ambulance for SMURD. Last year, we teamed up with one of the largest medium-sized festivals in Eastern Europe, Electric Castle. The experience of over 130,000+ international participants was enhanced by the EC app built by Fortech’s dedicated developers. Following a positive project experience and team synergy, we decided to continue the collaboration. We continued the investments in education. Year after year, we are investing in educational programs, dedicated for high school students, students or graduates. Our reference program is Discover Your Call in IT, a project initiated by Fortech and implemented furthermore by an NGO, where students learn how to develop apps from scratch. For an in-depth overview of our achievements, please glance over this infographic.